We are here to provide love & support. Christian Family Services is a licensed non-profit counseling center that serves women facing an unplanned pregnancy. CFS has worked with women in need since 1978 throughout Central and North Florida. On average, we minister to more than 100 women annually who have experienced an unplanned pregnancy. Many of the women we serve don’t have any support and we are the only ones they are able to talk to about their circumstances and pregnancy. CFS counselors come alongside these women and provide pregnancy help and support. Our counselors are committed to the women we serve no matter what decision they make. Christian Family Services is dedicated to helping women find hope in what seems like a hopeless situation by sharing the unconditional love of God with the women we serve and their unborn child. Are youand looking for information about adoption? Sign up to receive our quarterly-ish news & announcements. We've shared so much good news over the years! We're excited to finally be starting an adoption blog. We'll be sharing adoption stories, adoption-in-the-news, policy changes and more. Cindy-Joy is a student at the University of Florida, majoring in Family, Youth, and Community Sciences with a minor in Psychology. 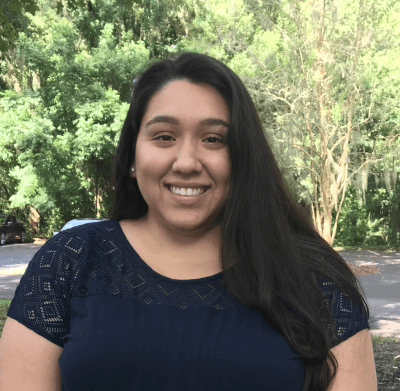 She began interning with CFS in August 2018 in hopes of learning more about the field of human services and counseling. Her passion and career goal is to help women and children through a profession in mental health counseling. Cindy-Joy volunteers at her local church mentoring young girls, serving through the worship ministry, and helping with event coordinating. Becky is our “volunteer” Bookkeeper. On retirement from a career with Florida Farm Bureau, Becky chose a variety of volunteer efforts to give her time to. On some days she may be the “clothes sorter” and other days she is the accountant! She keeps a regular schedule at each of her chosen organizations. CFS is blessed to have Becky as part of our team. Her commitment to the Lord also shows through in her church home at University City Church of Christ in Gainesville. She is active in a variety of ministries, serving with the Bible 12 step program, to teaching the Bible at Lowell Prison. A quiet strength in any activity she chooses, she also enjoys bird-watching. Donna joined the CFS staff in 2014 following seventeen years as a small business operator. She is married to Don Brooker, whom she met in Chapel at Harding University over 30 years ago. They have two grown sons. Donna received her business degree from the University of Florida. With a heart for the Lord and His people, Donna is a Christian serving in several congregations of the Church of Christ, and is part of the Women’s Jail ministry at University City (Gainesville). Donna has been humbled by the plight of Birth Mothers CFS works with as well as honored to work with those choosing to take on the role of parents through adoption. Jasmine joined the CFS staff in 2017. She graduated from Harding University with a Bachelor’s Degree in Social Work. While attending Harding, she had two separate internships. The first was with Ghana West Africa Missions in Yendi, Ghana where she taught English, basketball, social skills and bible classes to the students at COSTECH, as well as children’s Sunday school at the Yendi Church of Christ. Her second internship was at a domestic violence shelter where she advocated for women and their children fleeing domestic violence. Upon graduation, she spent two years working with at-risk youth in Little Rock, Arkansas. Growing up in Illinois, Jasmine has dreamed of moving to Florida since grade school and is very excited to be living in Gainesville. 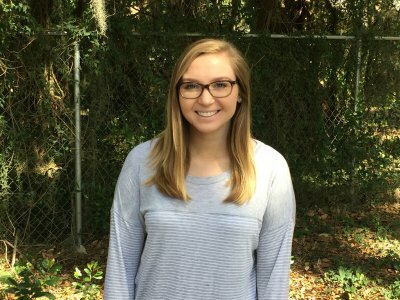 She is a coffee enthusiast who enjoys spending time with family and friends, traveling, going to the beach, rooting for the St. Louis Cardinals, and of course, cheering on the Florida Gators. Jerry serves Christian Family Services, Inc. as its Executive Director. He served three years as a Christian Family Services contract worker, working with moms pursuing an adoption plan while still in church ministry before being asked to be its director in 2003. Jerry is a licensed clinical social worker with over 30 years of experience in ministry working with families. Jerry continues to work personally with many of the birth parents in exploring an adoption plan. Jerry is an adoptive dad and has served as an ordained minister in churches from Oregon to Florida, working and counseling with families experiencing all of life’s difficulties. He has a Bachelors and Masters in Psychology from Mississippi State University and an MSW from Florida State University. He served on the Oregon Governor’s task force for dependent children in the state system and served as the chairman of one of the newly created Review Boards. Jerry and his wife, Debbie, have two daughters and four grandchildren. Debbie began working for CFS as a contract worker in N. Florida in 2000. After moving to the Gainesville area in 2003, she became a full-time caseworker counseling with clients as they face a crisis pregnancy. Debbie works with those who choose to parent in a social work capacity – providing resources, referrals and encouragement. For those parents who choose to make an adoption plan, her training as an adoption specialist aids them with knowledge and compassion. She is the adoption training coordinator who helps adoptive families prepare for their adoption journey. Debbie helps coordinate the interaction between birth families and adoptive families. Debbie graduated from Mississippi State University with a Bachelor’s degree in Social Work. She is a certified adoption specialist through the Infant Adoption Awareness Training program. As an adoptive parent, it has long been a passion of hers to minister to birth parents and adoptive parents. She and her husband, Jerry, have been married 44 years and have two daughters and four grandchildren.